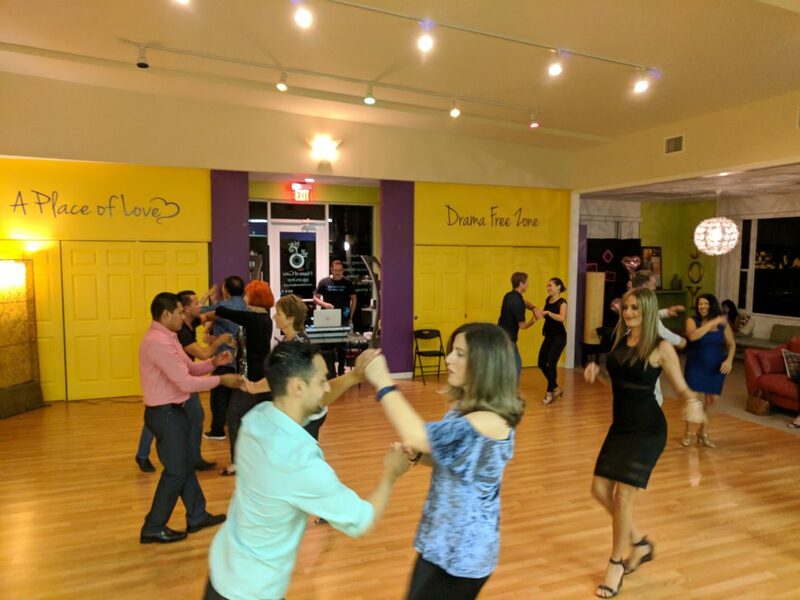 Welcome to South West Florida’s unique Latin Dance school. Learn how to dance Bachata, Salsa, Cha cha, Merengue, Hustle and more at Kumo Dance with Anthony Kumo. We offer one on one dance classes as well as weekly group dance classes in the studio or at a location of your choice. We also regularly host social dance events and provide performance/competition opportunities for those that want to take their dance to the next level. Check out the calendar to see what dance activities are coming up. We’re currently offering a great deal for new dance students! : Join today and get your first group class with Kumodance for only $5! For more deals, tips and announcements, join the mailing list. Additional services include performances and choreography for weddings, quinceaneras, corporate events, event gatherings and more. Read more about my experience and credentials here and don’t hesitate to contact me for more details. While group classes are taught in Naples each week, concierge private lessons and special events can be planned to fit your location. Dance activities frequently take place in Naples, Bonita Springs, Fort Myers, Lehigh, Cape Coral, Marco Island, Sanibel, Tampa, Fort Lauderdale, Plantation, and Miami. Name your location, I’ll be there! Video of a Kumodance social experience.